The minimalist style of the Mobile Steel Workstation Desk makes it ideally suited for a personal or collaborative workplace. Its clean, contemporary styling matches most office environments. Spacious desktop offers lots of work space for any work style. Steel construction with support cross bars for added strength. 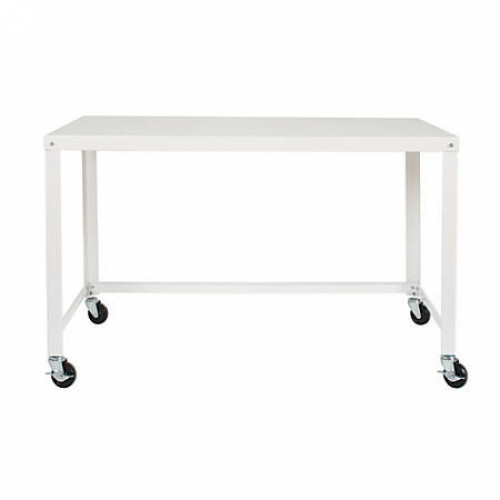 4 casters (2 locking) make it easy to move workstation around. Perfect for your conference room or auditorium, this laptop cart lets you keep your laptop and other..